What a week it has been y'all! I can't believe how quickly these weeks fly by. This week I changed things up in Writer's Workshop a bit. Some of my kiddos are still struggling with writing a sentence that makes sense and I was racking my brain for ways to help them become confident writers. I thought back to my days as a student teacher in California and what my absolutely a-mazing master teacher used to teach her English Language Learners writing. 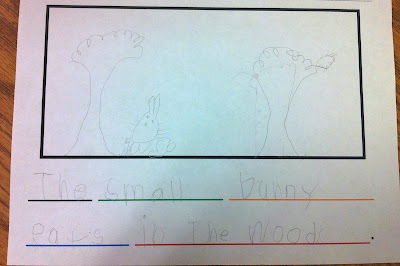 She used the "Farmer in the Dell" sentence patterning chart. This strategy is a Guided Language Acquisition Design strategy used to support ELLs. Although I do not teach ELLs, I thought I'd try this strategy out and see if it helped my most struggling kiddos. We sang the song a million few times as students came up and selected the adjective, verb, and prepositional phrase of their choice. We transitioned to our tables and I gave each table group a sentence strip with the word "the" and colored lines already written. 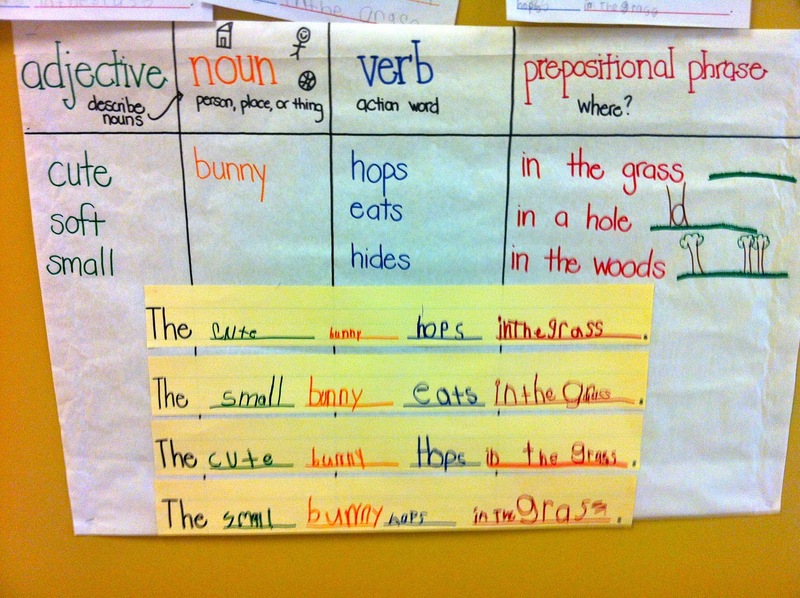 Students looked at the chart and completed their sentence frame by filling in words of that color. I wish you could have heard their chorus of 'Farmer in the Dell" while they were doing this! 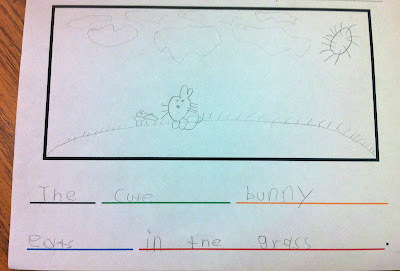 We concluded the lesson with each student completing a sentence frame independently. My struggling writers were so proud of themselves! Creating a "pattern" for writing sentences really helped my students recognize the rhythm of language and how words come together to make sense in a sentence. 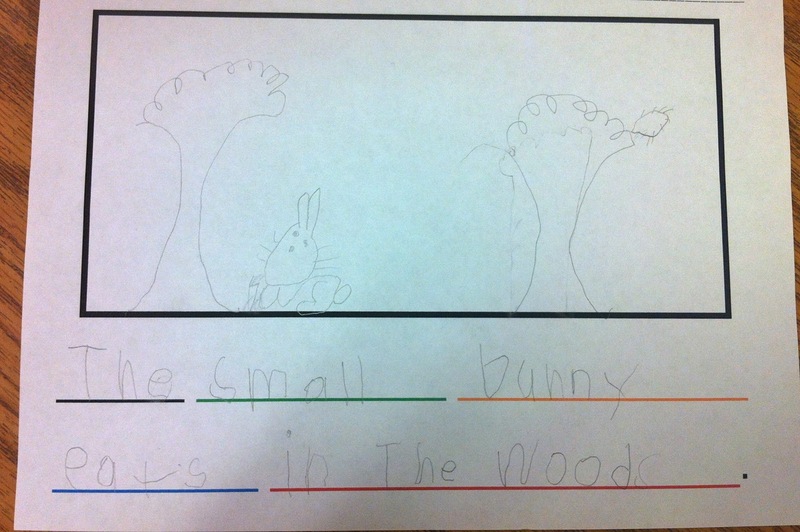 "The small bunny eats in the woods." 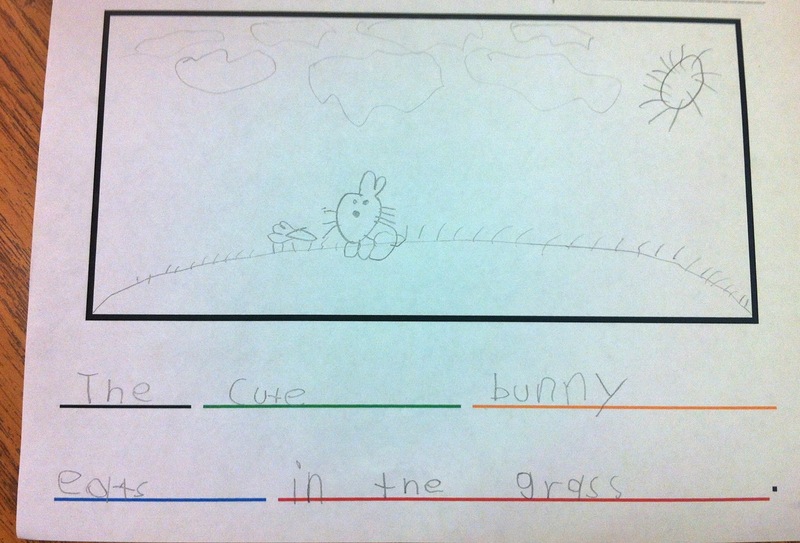 "The cute bunny eats in the grass." Sure is a cute bunny in the grass! 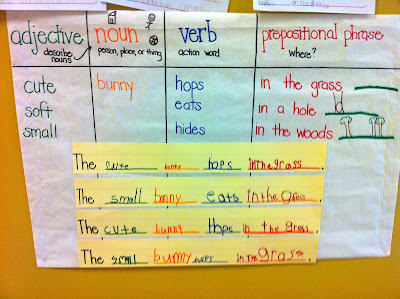 If you'd like to try this with your class, you can grab your own copy here. I printed mine in color but you can print in B & W and just draw the colored lines with marker. 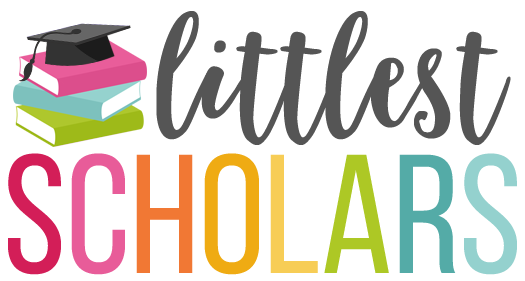 I'm finishing up the last edits on my Spring Literacy and Match activities and it is almost 150 pages! How does that happen? I think I'm having way too much fun with it! Great idea! I love the colored lines for differentiation. How do you get the kids not to write out the song? Yes! Love the idea! I usually color code parts of speech, but singing them is brilliant! I'm a newer follower! 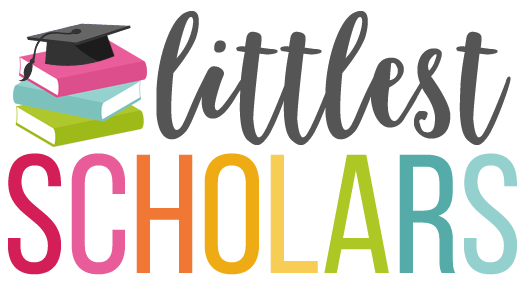 Come check out my blog if you get a chance! 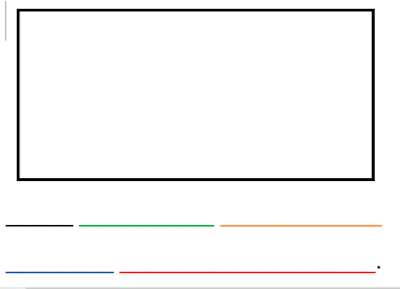 What a great idea, the color for the lines is great! I like the colored lines idea!! I am a writing specials teacher k-4. I know it's an odd position title, but it has been a lot of fun and very enlightening. Come check it out!